Located in Valley Junction, the West Des Moines Business Incubator has been helping to build small businesses in our community since 2009. The Incuabator is a 501(c)3 organization incorporated in Iowa with a focus on providing resources and curriculum to grow small businesses. 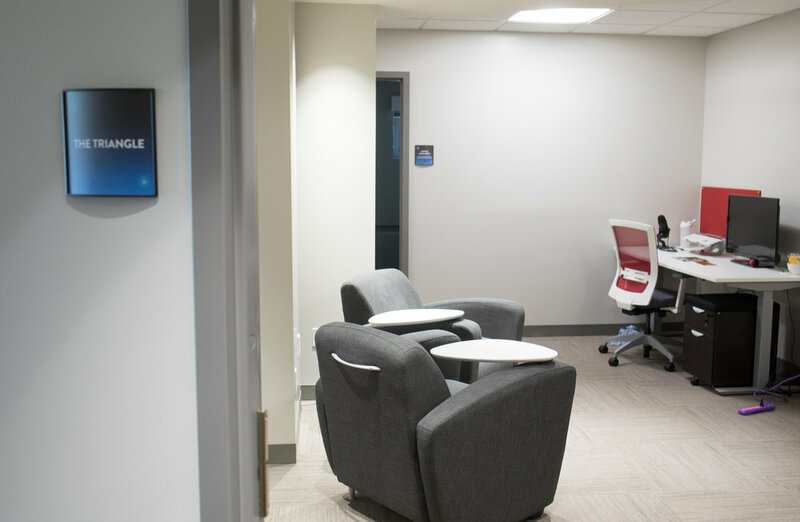 Our incubation program offers a blend of educational resources, coaching, collaboration opportunities and affordable office space for any early stage business looking to grow. Self-directed curriculum from internationally recognized providers. Regular workshops and educational talks focused on different facets of running a small business. Dedicated office hour appointments with expert service providers including lawyers, accountants, marketing and more. Interact and network with like-minded peers, sharing ideas, refining plans, helping each other along the way. Coworking and access to Gravitate's network as part of Central Iowa's largest coworking community. Affordable space and amenities to enable early stage businesses to grow. Daily management of the West Des Moines Business Incubator is performed by the team at Gravitate, an entrepreneurial support organization and coworking community with locations in Valley Junction and downtown Des Moines. The West Des Moines Business Incubator has partnered with the Iowa Center for Economic Success to provide regular office hours and advisory services to our incubator members. The Iowa Center has a long history of providing education, resources, credit and lending and advocacy services and networking opportunities to entrepreneurs in Iowa. Events are open to all. RSVP requested, not required. Additional details about specific events are available on Facebook. Local professionals from around our community offer their perspective on the subject of their expertise. Join us for a minimally-guided conversation about anything rooted in creativity and entrepreneurship. Most conversations dig deep into what it takes to build a strong community, how to help others thrive, and a general tone of what we can do together to keep pushing the needle for the Des Moines-area and all across the state. Calling all freelancers, remote works and entrepreneurs! Sick of working from home? Need some social interaction and maybe a little bit of inspiration? Grab a seat for our monthly Third Thursday Free Coworking day! We're a community of independent workers who enjoy working around other humans and drinking lots of free coffee. We'd love to work next to you for the day. Come have a beer on us! Every Third Thursday is our community happy hour. Check out the space, meet other community members and do a loop around the popular Valley Junction farmer's market, featuring local food, music, and more! Join us at ourFounder Fireside event where company founders from our region share their stories of building their business, what has gone right—and what has not—along with where they're taking things in the future. Do you think the Incubator might be a fit for you and your business? Send us an email with the form below and we'll schedule a time to meet, show you around our facility and introduce you to the community.